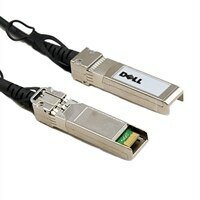 Dell Networking Cable QSFP+ to QSFP+ 40GbE Passive Copper Direct Attach Cable 3 meterThis Dell Networking Passive Copper Direct Attach Cable is used to link your fiber networking devices for high-speed, long-distance connectivity. This 3 meter cable features an QSFP+ connector at one end and QSFP+ connector at the other end. This Dell Networking Passive Copper Direct Attach Cable is used to link your fiber networking devices for high-speed, long-distance connectivity. This 3 meter cable features an QSFP+ connector at one end and QSFP+ connector at the other end.